Stress is something we all experience, but research suggests that adolescents are affected in unique ways that can lead to increases in impulsive and risky behaviour. While eliminating stress completely isn’t realistic, young people can learn to control how they respond to it. 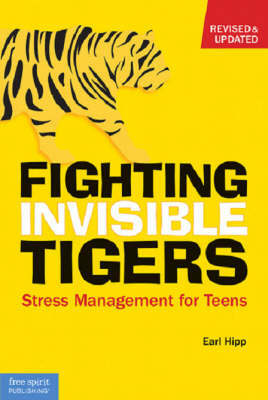 Fighting Invisible Tigers offers proven techniques that teens can use to deal with stressful situations in any environment – in school, at home, even among friends. It also includes fully up-to-date information on how stress affects health and decision making, as well as the latest stress management skills. Filled with interesting facts, real life stories, and fun activities, this is a great resource for teens everywhere.